In Moto 2 X-lite pilot Simone Corsi came second and won his first podium this season. 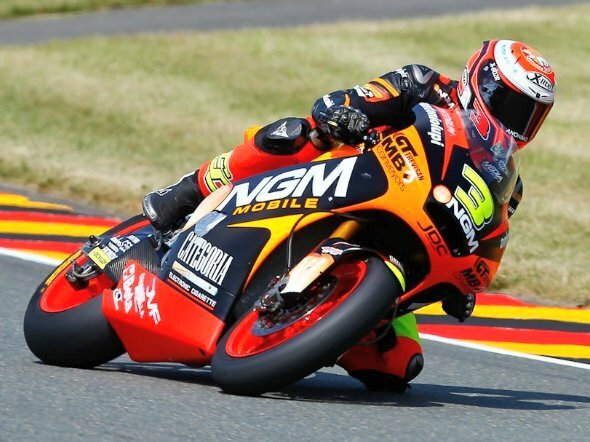 In Moto3 Spidi pilot Alex Rins was on the podium again. After holding the lead for several laps, he struggled in the final with Jack Miller and fellow Vinales. The final sprint sees Miller finish in front. In MotoGP, Spidi pilot Andrea Dovizioso had a great start – unfortunately the Ducati started to fade through the race. Victory goes to an amazing Marquez, who scored his fifth win in a row this season.